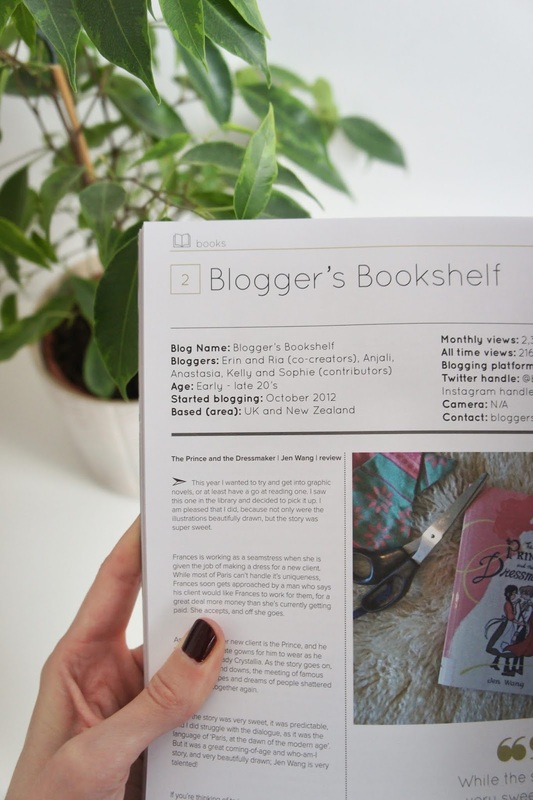 BB In Blogosphere | One of the most exciting bits of news since my last LD update is that Blogger's Bookshelf (the book blog I co-created with Ria) was featured in September's issue of Blogosphere Magazine! This is a huge deal for our little blog which is about to celebrate it's six birthday next month and is an amazing shoutout to our team members (both past and present) for all of their hard work, opinionated reviews and other content that has made BB a success. We're super grateful to the lovely Bee for choosing BB as one of her favourite book blogs, and of course to the team at Blogosphere. If you'd like to pick up a copy you can subscribe over on their website or check your local WH Smith store. Whilst we're on the subject of Team BB, two of our lovely writers Anjali and Sophie recently launched their very own bookish podcast named Rants & Reviews. As you may know, I'm a big fan of podcasts and I've really enjoyed listening to the first few episodes... not just because I love their accents! In all seriousness if you love books you'll enjoy this new podcast so pop on over to iTunes, acast or your podcast app of choice (I use Podcast Addict) and make sure you're subscribed. You may even hear me make an appearance over there soon! Hidden Treasures | A recent addition to my weekends has been geocaching after my dad downloaded an app and discovered lots of caches locally. It's added an extra fun element to our usual walking adventures and I've been impressed by just how creative some of the hiding places and disguises are. Another discovery whilst out geocaching was this little telephone box turned book exchange which I think is absolutely genius. New Denim | It's probably a little late in the season to be adding anything that isn't super thermal to my wardrobe because this is England after all, but I recently picked up two pairs of raw hem straight leg jeans and they're my new favourite thing. So. Comfortable. Halloween | Finally, I couldn't let this edition of LD pass by without mentioning Halloween and the small collection of related items I've already picked up from Homesense and TK Maxx, who in my opinion always have the best Halloween goodies on the UK high street. Whilst it isn't everyone's cup of tea, for me Halloween items are incorporated into my all-year round decor (I can see at least five pieces from where I'm sitting as I type this) so I love that I can go out and stock up on them at this time of year. If I have time to get together some photos I'm hoping to share a separate post on the items I've picked up (similarly to last year) but so far the list includes bowls, a bamboo cup, a spoon, a felt pumpkin, a cookie jar and perhaps weirdest of all, spatulas. The bowls have been pretty much used everyday since I got them so were definitely worth picking up although they are causing me a bit of trouble when it comes to taking food photos for my next Cooking Lately post! Such exciting news over on A Beautiful Mess! So exciting that you're studying again! What a great course! And thanks for the R&R shout out!